I had an email from Andrew in Ireland. Back in 2004, when the European Union expanded from 15 to 25 states, he undertook a project to read a book from each member country. He got round them all, with one exception: when it came to Luxembourg there was nothing he could get hold of to read in English. It’s not surprising that Andrew found getting literature from the world’s only sovereign grand duchy difficult: with three official languages (French, German and Luxembourgish), there’s enough to do translating documents so that all of the country’s 500,000 or so citizens can read them without looking further afield. Nevertheless, Andrew did give me something to go on. In the course of his research, he’d heard about a Luxembourgish writer called Claudine Muno who had published a novel in English in 1996, at the age of just 16. By all accounts it was out of print. I looked Muno up. It turns out she’s continued to be something of a trailblazer and is now frontwoman of the Luxembourgish folk-pop band Claudine Muno and the Luna Boots. Crossing my fingers, I left a message on the group’s Facebook page, asking if Muno could tell me how I could get hold of her book. Muno replied. 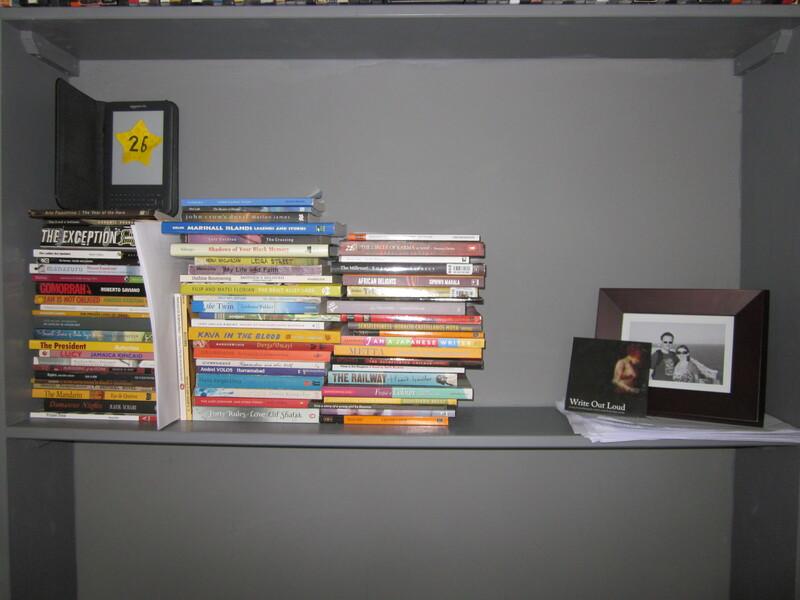 She was sorry to say that her novel was completely unavailable – she and her editor only had one copy each left. However, she did have a recent audiobook with young writers reading extracts from their work, some of them in English – would I be interested in that? And so it was that during a drive down to Cornwall, my long-suffering boyfriend and I listened our way through Write Out Loud, a mixture of Luxembourgish, French, German and English pieces read in the same earnest tones that I remembered members of the Creative Writing Society (many of them dressed in black and sporting berets) adopting at open-mic nights at university. It would have been tempting to claim this as my Luxembourgish book and leave the quest there. However, given that the prose extracts in English probably only amounted to a total of five minutes’ listening time, this would have felt a bit like cheating. So, taking a deep breath, I sent an email to 19-year-old Joshi Gottlieb, the mastermind of the project and the writer on the CD whose quirky, oddball style I’d most enjoyed. Gottlieb came back with the manuscript of a book by Robi Gottlieb-Cahen, who did the cover illustration for Write Out Loud. Written throughout in three languages (English, French and German), the book looked set to be published by Éditions Phi in February 2013. I sighed with relief. I may even have whooped in triumph: at last, I had my Luxembourgish book. 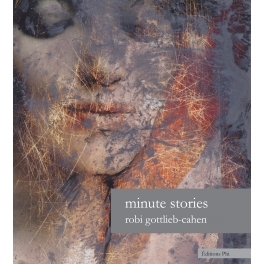 Minute Stories is a collection of micro-tales – many of them no more than a sentence long – each of which has been paired with one of Gottlieb-Cahen’s paintings. As Jean-Marie Schaeffer explains in her introduction, ‘here, one single person holds both the pen and the brush’, creating ‘fundamental indecision in the relation between pictorial and narrative identities’. In some cases, the link between the two works is clear. There is the visual joke of a picture of a woman with her arm thrown back undercut by a comment about shaving underarm hair and – my personal favourite – a sentence about someone who will not stop talking accompanied by a nightmarish painting of a clownish face, which evokes that feeling of being cornered by someone you’d really rather not speak to perfectly. Some of the other associations are less obvious. While it is clearly Gottlieb-Cahen’s intention to challenge readers to find their own meaning in the interplay of the words and images, the obscurity of some of the connections can be frustrating. The picture of a naked buxom woman above a sentence about shoelaces, for example, left me scratching my head. This sense of uncertainty permeates the stories too, many of which deal with loneliness, loss, leaving and ‘the art of not understanding each other’. We are repeatedly invited to question the identity of the narrators – are they Gottlieb-Cahen or someone else altogether? In addition, the informality of their grammar and punctuation, which gives them the feel of text messages or notes scribbled in someone’s diary, and the occasional bracketed references to the places where the events happened make them seem like moments snatched from everyday life. There is also the question of the relation of the text’s three languages to each other. Although the English version of the text is printed first on each page, one or too minor syntactical oddities suggest that it is not Gottlieb-Cahen’s first language. This made me wonder how the stories were written. Did Gottlieb-Cahen work in one language and translate into the other two? Or did he generate each version independently? The web of questions grows as the book progresses, wrapping the reader in a cat’s-cradle of ideas. Gottlieb-Cahen keeps this light and playful with regular bursts of bathos and wit, which challenge the hushed reverence that often seems to be the expected response to art books. 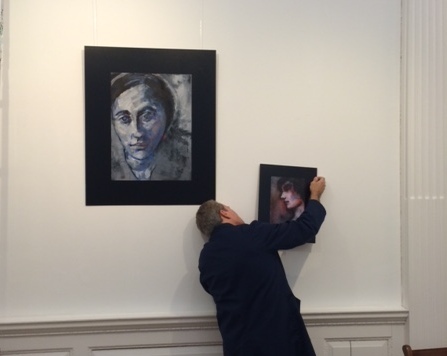 The result is a fascinating and exuberant exploration of pictures and words and our relationship to them. Well worth the effort it took to find it.